Establishing routines that help you and your kids enjoy your time together is one of the most challenging aspects of becoming a parent. The more you sleep the happier you are and the same goes for your newborn or toddler. The same argument can be made for eating. When you’re well-fed, your child’s needs can be better met. But we’re not talking about schedules. We’re talking about VACATION. The trip to the beach or grandma’s house that holds all of the promise and potential. You hope to recharge…but then your routine goes. Out. The. Window. What’s a new mom to do? When it comes to breastfeeding on vacation, a massage won’t help—but this list of tips might make your trip more fun for everyone. And, in an ideal world, they’ll go a long way in protecting the breast milk feeding routine you’ve worked (even fought?) so hard to establish. Who knows? Maybe you’ll even get to relax on vacation. If you’re traveling to a hotel, it’s worth calling ahead to ask for a miniature fridge and request that it be cold when you arrive. Some hotels even over full-sized refrigerators, microwaves and stoves for guests. Typically, guests who need mini fridges for medical or health purposes are not charged extra and it ensures that you have a safe place to store pumped milk and pump parts in between sessions. Not to mention, you can keep extra water and snacks to help sustain you! No matter how you’re feeding your infant or toddler, a carrier can be a lifesaver on a trip. Not to mention, depending on how you’re carrying the child and the carrier, you may be able to discreetly breastfeed while she or he is in tucked in. If you’re pumping on the go, it also helps to carry products that allow for fast cleaning and sterilization, like our Quick Clean wipes or soap. Never did I expect to say this, but when it comes to expressed milk, TSA has clear guidelines that are meant to support you. Breast milk is considered a medically necessary liquid and is allowed to pass through TSA security without being confiscated. You should alert the TSA officer if you do not want the breast milk opened for it to be tested. And, your breast pump is considered a personal item to be stowed, not an extra carry on. Another unexpected aspect of motherhood: Loving accessories you might have previously shied away from. In this case, a properly insulated cooler bag with an icepack will help keep breast milk safe for up to 24 hours. You can ask a flight attendant for ice, or on a longer flight, see if they’re able to refrigerate your milk for you. Once you reach your destination and depending on your trip length, you may consider shipping your breast milk home in dry ice. Here’s a quick primer on breast milk storage. Vacations and breaks are vital for self-care. Cut yourself some slack if the routine gets off schedule and know you can get back on track when you get home. And while creating memories as a family is important, so is taking time for yourself to heal and strengthen your body, nurture your soul and remind yourself that you are important. I can’t emphasize this enough. If you don’t take a break, you won’t have enough energy to prepare for the next vacation! What are some of your favorite vacation experiences? What did you do to make sure you got real rest and relaxation? 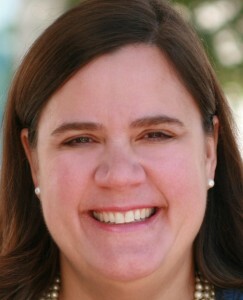 Amy O’Malley began her practice as a pediatric nurse at Children’s Memorial Hospital in Chicago, where she was later appointed Director of Nursing Resources. Amy spent several years on the faculty at Loyola University School of Nursing in Chicago where she taught Pediatrics and Community Health. It may go without saying, but be sure to carry a battery powered pump or even a manual pump that you can use in case of an emergency. Nothing’s worse than trying to find an electrical outlet under the unpredictable circumstances of a vacation.